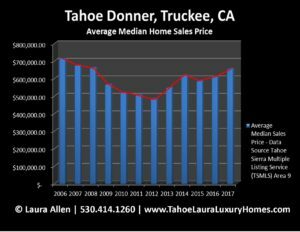 Looking to find out where the Tahoe Donner Home Values are at for 2017? Wondering if now is the time to buy, or sell a home or condo in Tahoe Donner? Real estate market conditions continue to change, and have improved for Tahoe Donner sellers. Tahoe Donner Home Buyers have fewer choices, and for those looking for a home under $500,000 in Tahoe Donner will find their options are very limited these days. Check out the current over-all market conditions as of 08-19-2017 to get a better idea of the Tahoe Donner real estate market conditions. Tahoe Donner single family home prices are up 6.9% over the average median home sales price in 2016. Historically 4th of July through Labor Day is when we see our peak inventory levels of Tahoe Donner Homes for Sale. This year, we have not seen those levels move to an over-supply level and this unseasonably low home inventory levels are keeping prices up. At the lower price points, under $500,000; home buyers are often facing multiple offer situations and very few options. The list to price average has also moved up to 99.4%, which tells buyers well priced properties are moving quickly. 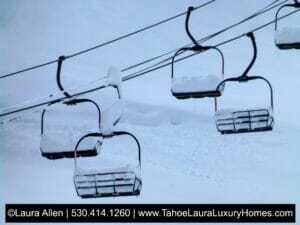 What is my home worth in Tahoe Donner? Want more long-term Tahoe Donner real estate data? Call me. 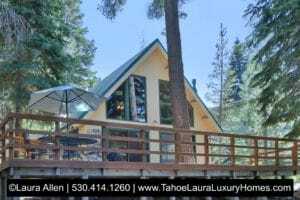 Even though the North Lake Tahoe – Truckee area has seen prices move up, the Tahoe Donner area is still offering great values, and currently has the least expensive 6 bedroom home for sale at 13012 Davos Drive, Truckee, CA 96161 as of 08-19-2017. This home may have sold so call on availability. See all 6+ Bedroom homes for sale in Truckee here. The Tahoe Donner current annual assessment is $1,900/year for 2017. The additional optional recreational pass is $270/year for 2017, which is valid for all private amenities for all membership cards for each property. The right data and information on your Tahoe Donner property is critical to an accurate market value estimate. We know that each Tahoe Donner property is unique and that they were built as a custom home, or cabin. It’s important that your mountain property gets all of the credit and value it deserves for all of those special features before we place a value on it.